What is the Instagram age limit? A lot of children now wish to be on the Instagram platform not minding their age. This now makes a lot of parents and guardians wonder what their children want to do on the Instagram platform. They wonder if their children are up to the age to access Instagram. 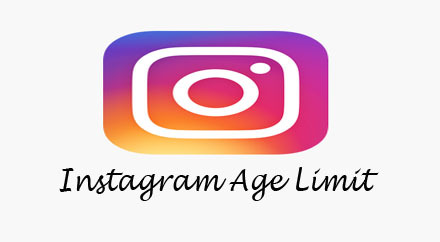 Instagram has an age limit for people who wish to access Instagram. So not all children are allowed to access Instagram. Instagram requires anyone who wishes to create an account on the Instagram platform and be able to access Instagram should be at least 13 years old. In some other Social Media, this age limit may be higher. If your child is younger than 13 and has an account on the Instagram platform you can decide to delete the account. Should I Allow My Child under the Age Limit of 13 to Join Instagram or Any Social Media? The major reason why the age minimum of many social media and apps is 13, is because of the children’s Online Privacy Protection Act [COPPA], this guides children against marketing come-ons. A lot of children now register as a member on the instagram platform with a fake birth date. A child that wishes to access instagram should wait until he or she is up to the age of 13 for safety and privacy reasons. The reason for this is because; this is the stage that children are able to distinguish what is appropriate and what is not to share on instagram publicly. And also when children need to explore things for themselves and know their identities and need little distance from parental control. Now if you want to allow your child to join the instagram platform, make sure you guide them on how and when they can access the instagram. I will outline some steps you can help them to follow when using the instagram. You must think excessively before you post anything on instagram. You must know that anything you post on instagram is very difficult to remove. Make sure you call out cyber bullying when you see one. Always be respectful on the instagram platform. And also you must use privacy settings on the platform. These are the things to be emphasized on when your child is on the instagram platform. To report a child on instagram is not difficult. There are steps to follow when you want to report a child on instagram. And these steps are very easy to understand. I will like to tell you how can report anyone on instagram even your child. Below are the steps to follow. First you access your instagram. Go to the child profile you wish to report. Click on the three dots next to their username. Now you will click the type of account you wish to report. Then you click on the three dots below the post, to report. After that click on “report inappropriate” and follow the instructions given. When this is done perfectly, your child will be reported. But your child won’t get notified about it, so do not worry.